We've got all our candles ready for this year's Earth Hour. Have you? In a little over half an hour we'll be turning off the lights to join all the millions of people worldwide trying to raise awareness of climate change. I've always been a fan of candlelight (and not just because it casts a flattering light!) There are so many gorgeous smelling candles around now so we can be environmental AND enjoy the beautiful fragrance. It doesn't hurt that it makes me feel like I'm doing my bit to help protect our planet, either. So be aware and switch those lights off! See you in 60 minutes! 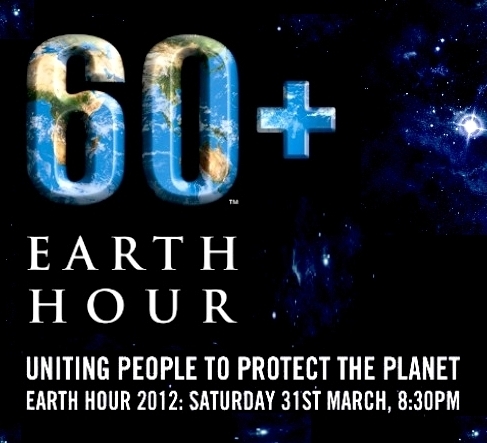 Yay Earth Hour! I'll be doing just the same. A couple of flattering candles, one scented and my creepy Dean Koontz novel. Have fun in the dark! You know, I just love any excuse to whack on some candles and tell the lads this is how they use to live just a few years ago. 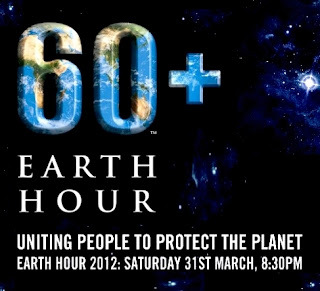 Just quietly, I'm glad daylight saving is over, because now we can have 'earth hour' at every dinner from now on.